Scott (BBA ’07, MACC ’08) and Lindsay (BBA ’07, MACC ’08) Voigt give to help students determine what they want in life – and go after it. As Leonard Leadership Scholars, Scott (BBA’07, MACC ’08) and Lindsay (BBA ’07, MACC ’08) Voigt created life plans that matched their goals to their values. Today, Scott runs his own financial planning firm, Verisail Partners, with two fellow Bulldogs. After eight years with successful start-up Pardot, Lindsay now cares for the Voigts’ six-month-old son. The Voigts give to UGA so that students will have life-defining opportunities like the leadership development and study abroad programs they enjoyed. For Scott and Lindsay Voigt, “finding yourself” in college is more than a cliche. At the University of Georgia, they were encouraged to envision their ideal lives and identify the values that defined them. More than a mental exercise, they also developed actionable steps for reaching their goals. Today, Scott is co-owner of Verisail Partners, a financial planning firm that he started with fellow Bulldog, Thad Gilliam (BBA ’07), only two years after graduation. Lindsay dedicates her time to their six-month old son, Landon. She recently shifted her focus after eight years at the successful start-up, Pardot (now Salesforce). The Voigts have enjoyed meaningful careers that also provide the flexibility their growing family demands. They attribute this success to the life-defining opportunities they were afforded as UGA students, particularly as Leonard Leadership Scholars in the Terry College of Business’ Institute for Leadership Advancement (ILA). They choose to give to the Terry College Excellence Fund and the ILA Support Fund to ensure that programs like the Leonard Leadership Scholars Program (LLSP) not only continue, but also strengthen. 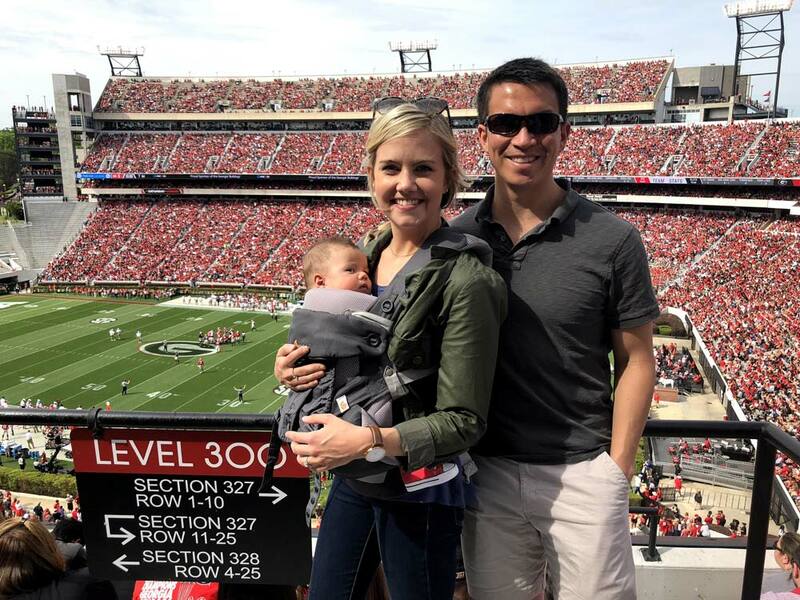 Scott and Lindsay with their son, Landon, at G-Day in April 2018 — Landon’s first visit to Sanford Stadium. As Leonard Leadership Scholars, Scott and Lindsay developed a powerful tool: self-awareness. Founded by Earl T. Leonard, Jr., former senior vice president for corporate affairs of The Coca-Cola Company, this two-year leadership development program helps students determine their goals and create realistic plans for achieving them. “It put us on different trajectory at a very early age,” said Scott. Through personal assessment, hands-on mentorship and community service, Scott and Lindsay learned how to match their actions to their values. One of the most memorable exercises was writing their eulogies. The decision-making tools that the Voigts developed have come in handy many times — as Scott took a risk by starting his own business and Lindsay chose to focus on caring for their young son. This big-picture thinking guides how the Voigt invest two valuable resources: their time and money. Scott and Lindsay venture to Emerald Lake in British Columbia, Canada. The Voigts give to UGA because opportunities like the LLSP would not have been available without private support. 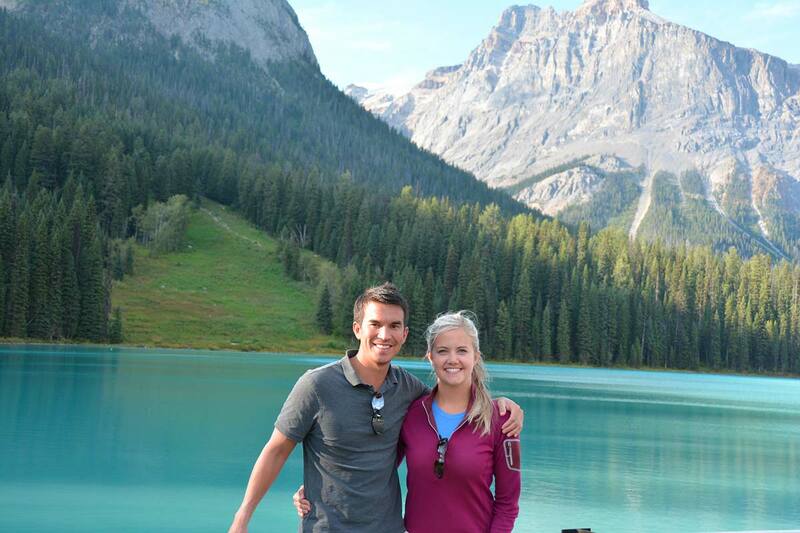 Scott and Lindsay, both accounting majors, were also able to study abroad several times because of scholarship support. The two studied together in Italy; Scott traveled to Japan and Tanzania, and Lindsay spent a semester in Spain. “Our scholarships afforded us these opportunities to broaden our perspectives, making our degrees richer,” said Lindsay.